John Toal is a partner in the San Francisco office of Lewis Brisbois and a member of the Transportation Practice. He is a litigation attorney with extensive experience representing clients of all size, including large commercial transportation entities, construction general contractors and subcontractors, major manufacturers, international cruise lines, national retailers, homeowners’ associations, and others. Mr. Toal handles a wide variety of matters, including multiple plaintiff litigation, class actions, defense of high exposure cases involving catastrophic and traumatic brain injuries, premises liability, errors and omissions, and general business disputes. He has successfully served clients such as Medtronic, Pep Boys, Cal-Nevada Towing, Keller-Williams Properties, Cannon Constructors, Hess Construction, Darling International, Pacific Scaffold, Compass Group, Crothall Services, Starcraft RV, Kampgrounds of America, Tesoro Refining and Marketing, and Alliance Recycling. Mr. Toal has extensive experience defending complex litigation matters involving complicated contractual and indemnity issues, errors and omissions, general business disputes, catastrophic injuries, traumatic brain injuries, and wrongful death claims. 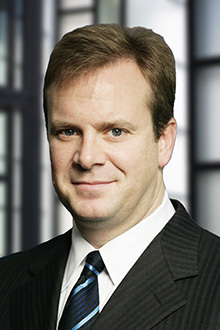 He is experienced in all aspects of managing and litigating cases through mediation, arbitration, and trial including: client counseling, formulating case strategies, engaging in and directing all phases of discovery, retaining and working with experts, briefing and arguing dispositive motions and pre-trial filings, and serving as lead counsel at trial. Mr. Toal has successfully briefed and argued numerous matters before state and federal courts of California and Pennsylvania. Numerous client, trade group, and in-house presentations on Transportation Law practice topics, including accident investigation and reconstruction, driver hours of service, and employment practices.